Audience Expansion – Pinkrose Marketing, LLC. 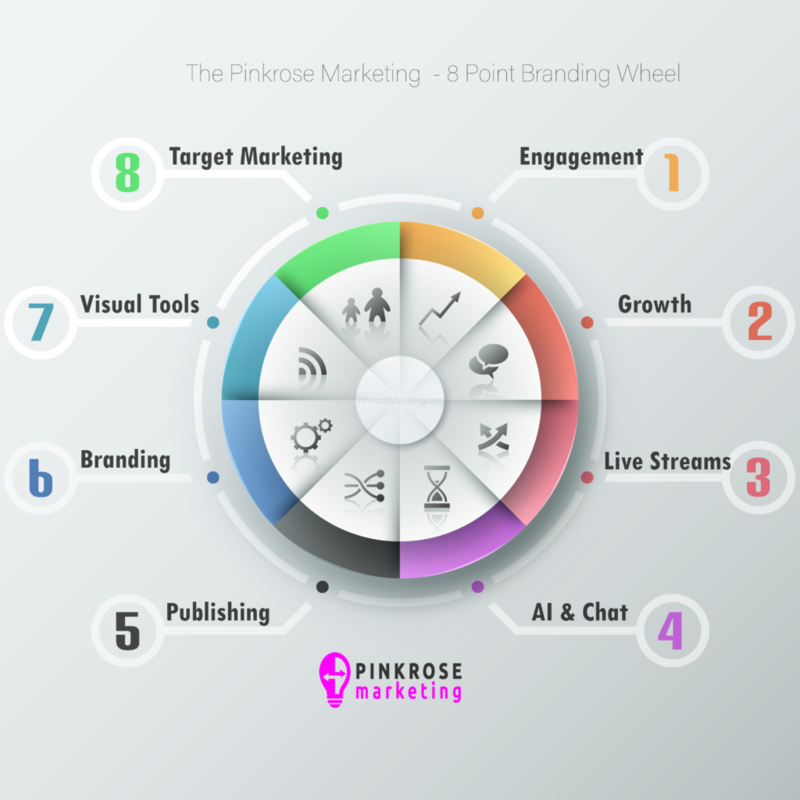 The Pinkrose Marketing – 8 Point Branding Wheel is our proven method of getting you to the results you want. Pinkrose Marketing – Copyright 2019. There are no secret weapons in social media marketing, but there are tried and true methods that have proven successful for our clients. Utilizing our in house resources and being knowledgeable of the latest market trends keeps Pinkrose Marketing clients ahead of the crowd. Work with a leader. Work with Pinkrose Marketing. Schedule your complimentary marketing session in person or by phone today!